The Supreme Court's landmark judgement that claimed that the acquisition of 997.11 acres land at Singur by Tata Motors illegal came as a great news for farmers and landowners. West Bengal Chief Minister Mamata Banerjee promised the farmers that she would return their land in four weeks. But now, landowners are plagued with a different question. They do not know whether they are going to get their land back on the current land price or whether the prices will be the same as those in 2006 when the land was taken from them. Also, most of the land owners have not received the land price yet. The biggest challenge for the Mamata government now is to see how the state government will cater to the demands of around 20,000 land owners in the state where land has been acquired by CPI (M) government for setting up industries as the land price has already shot up. Barely after a day of the Supreme Court verdict, Mamata had to scrap the plans for building a sweet hub on 10.5 acres land in Burdwan following farmers agitation. 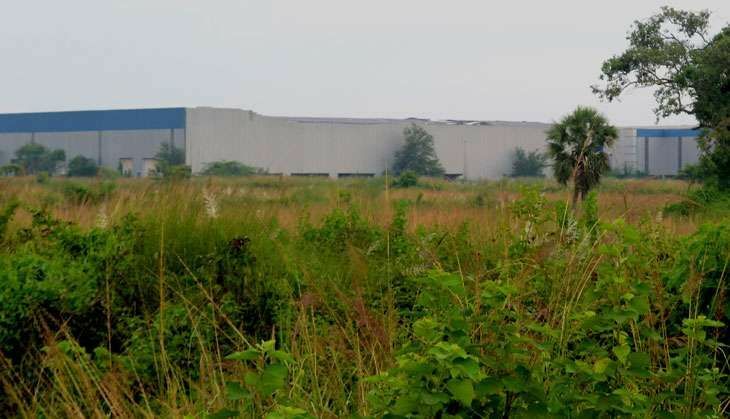 Not only Burdwan, but revamping the work for the 10-km metalled road connecting the proposed Panagarh Industrial Park adjacent to Durgapur and NH2 has been stalled by farmers, three days before the Singur verdict demanding compensation and rehabilitation. The project has faced resistance from tribals in these two mouzas - Amanidanga and Madhabmath mouzas - on the plea that the state hasn't offered enough compensation to the land labourers and sharecroppers. The project for setting up Panagarh Industrial Estate was taken up by erstwhile Budhhadeb Bhattacharya government in 2009 and 2010 and around 600 acres of land had been acquired. According to Shiblal Hansda, an agitating labourer of Pangarh in Durgapur, "We were promised rehabilitation, which was yet to be arranged by the state government." The agitators, who claimed to have tilled the land as sharecroppers before it was acquired by the Left government in 2009, said they did not get compensation despite being promised 25% of the land price and rehabilitation. "We have been living on the land for decades and also cultivating it as sharecroppers. The former Left Front government promised us 25% of the land price and rehabilitation. But nothing has been done by the present TMC government," said one of the agitators. There are about 100 land owners of the land where the Panagarh Industrial Estate has been set up. Economists feel that the ghost of land acquisition during the CPI(M) regime seems to be the biggest hurdle for the Trinamool Congress government now. Ajitava Roy Chowdhury, an eminent economist said, "There is a need for the state government to speak with landowners organisations in the state and come to a conclusive decision." Maharshi Das, who gave 10 acres of land for the Pangarh Industrial estate in Durgapur said, "We demand that TMC government should give us the current land price apart from the compensation that we received as our land has been taken according to 1894 Land Acquisition Act." Real estate owners, however, feel that where there is proper road and infrastructure connectivity per kotha of land is sold at Rs 40 lakh. So, if Mamata government has to cater to the needs of all the landowners whose land has been acquired by Left front regime, then huge costs will be involved at a time when the state government is reeling under huge debt. Mayank Sahani, a real estate developer said, "Land price has increased over the years with proper road connectivity and infrastructure development and land owners demand cannot be ruled out. In Singur where Tata Motors have set up their infrastructure, the land price has increased to Rs 30 lakh per kotha." The state government paid Rs 33,067 crore towards clearing debt last year which stood at Rs 3.05 lakh crore. It has risen to Rs 36,869 crore in 2016-17.